If you’re afraid of heights, I suggest you look away now. 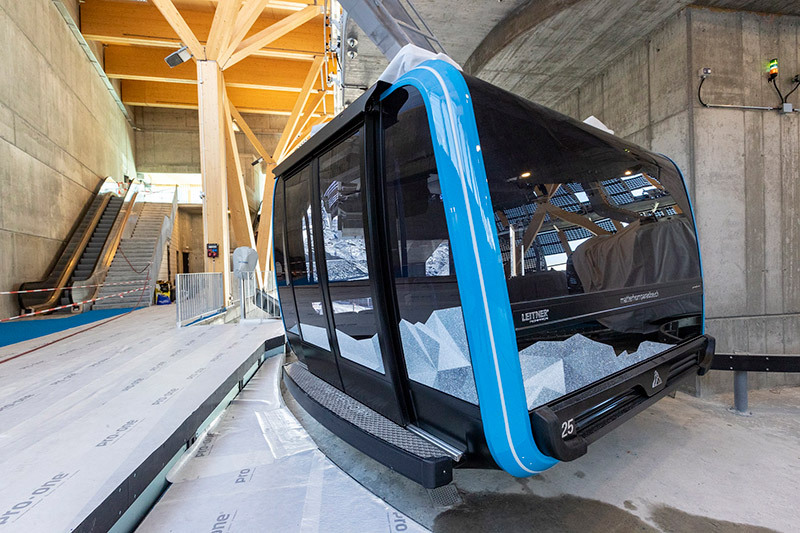 Switzerland Tourism has just given the world a collective bout of vertigo with the announcement of the world’s highest cableway featuring a see-through floor – set to debut on the Matterhorn this winter season. 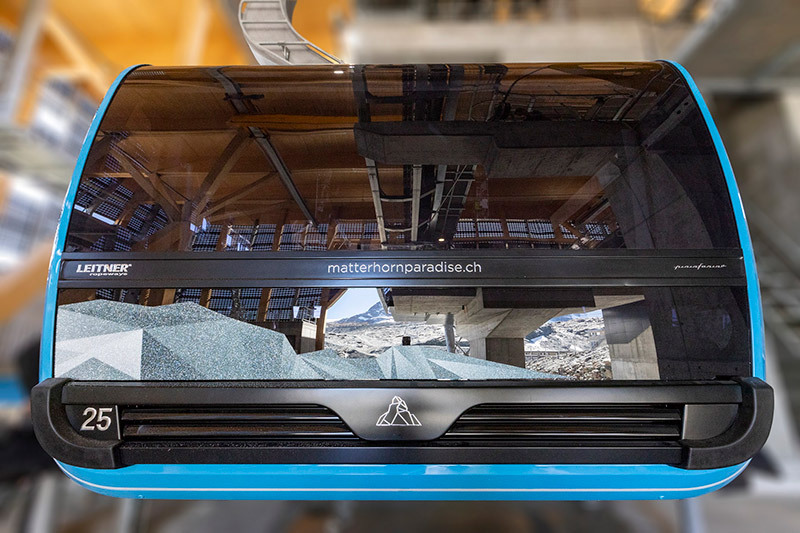 A total of 25 gondolas will transport up to 2,000 passengers per hour up to the Matterhorn Glacier Paradise on Klein Matterhorn, of which four special cabins will be encrusted in 250,000 Swarovski crystals that will sparkle in the sunlight. Three minutes into the journey, the floor will turn from opaque to clear, revealing the dramatic scenery below. It’s at this point in the journey you’re allowed to let out a squeal. Not for the faint hearted, the effect is made possible by an active laminate glass sheet powered by electricity, which turns the milky white floor to transparent within seconds. Every gondola will have 28 comfortable and spacious seats finished in the finest materials including leather and Alcantara. 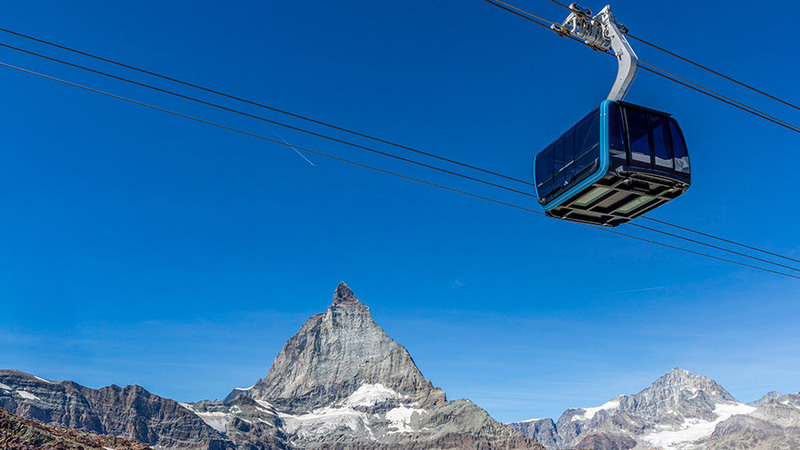 Swiss Travel Pass holders will enjoy 50% off Zermatt’s cable car rides up to the Matterhorn Glacier Paradise and the Gornergrat. The grand opening will take place on 29 September, with main operations commencing on 24 November 2018, . For more information on Switzerland, visit www.myswitzerland.com.